Much has been made of his failed 2012 GOP nomination for President, but fmr. Texas Governor Rick Perry knows a thing or two about stumbling: it is almost a required process to achieve success, a rite of passage to becoming a better person. He is counting on his experience, both in 30 years of public service – 18 in an executive role – and that he gleaned from his first ever campaign loss to lead him forward to the GOP nomination. 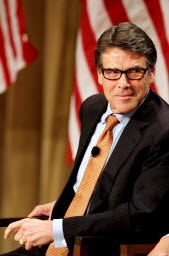 While he has not officially announced his candidacy, Perry has been busy traveling the world, learning from experts and communicating his message to the public. He has not hidden his desire to run again, saying he’s merely waiting for the proper time to announce his intentions to the country once he has set the table for success this time. He has no intention of failing this one. Key to that kind of success is a complicated plan, and it has many variables. They range widely – gaining the trust of donors; grassroots organizing; an effective communication apparatus; trusted, and proven advisors; a campaign can often hinge on one or two moving parts, while the rest are running fine. It is essential to assemble as flawless of a team as possible, while almost daily adjusting with the changing landscape. The team is preparing for a sure moment that comes in every primary season, where perceived front-runners stumble, and underdogs rise. Perry is always preparing, and he will be well-groomed to fill the void should and when it occurs this time around. The slow, but steady recognition by these consultants and pundits is only part of the strategy. Advisors are most anticipating the opportunity to talk about “the Paint Creek story,” which reveals that Rick Perry is a man of the land and field, with no silver spoon in his mouth. He worked hard, entered the military and lived an honorable life serving his community, and state. Perry, a former blue dog conservative Democrat from farm country, switched parties in 1988 and hasn’t looked back since, knowing the Republican Party is the best home for his conservative ideals and emphasis on local governance. He’s literally running for the most powerful position in the land so he can funnel that power back to those he believes can utilize it best. He’s a military man, having spent four years as a world-traveling pilot, and a lifetime working for fairness to his fellow veterans that had so much more asked of them. Perry and his team are banking on the appeal of his humble beginnings and dedicated service. Combined with his unparalleled executive experience in the field, his resume is chock full of cap feathers of which most politicians would be pleased to claim one. Responsible leadership managed the state through the worst of the worst: hurricanes, wildfires, border crises, the Ebola outbreak, aftermath of New Orleans refugees, as well as the housing market crash, dives in the energy market and burgeoning poverty, abetted in part by Texas’ proximity to Mexico. Of course, there are the reductions in medical costs, increased statewide access to hospitals, property tax reform, the highest education numbers nationally for minority students, and the ever-present jobs numbers. Yes, the jobs numbers – where Texas has been an engine of growth, diversifying it’s economy into tech, finance and manufacturing and become less dependent on energy. Those are the figures of which Perry is most proud. 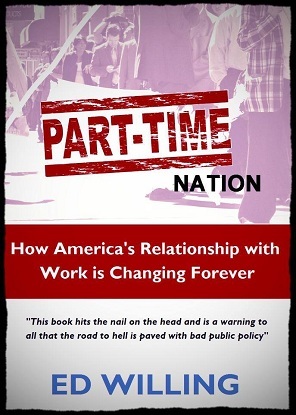 He is aware he did not “create jobs,” but has a keen understanding of government’s effect on economic health and prosperity, and a respect for the constitution that libertarians can love and conservatives will rave about. But his appeal looks to be transcending too – a glimpse of the leadership America once bred. Leadership that existed, regardless of political persuasion. Last year, even liberal scholars, political writers and consultants acknowledged the dirty side of politics most Americans despise, when a grand jury flagrantly indicted Perry on charges of abuse of power and coercion. Dozens of experts from Alan Dershowitz to David Axelrod noted that the Governor did nothing wrong, and many said he acted honorably and with leadership by threatening to veto funding for the department led by an intransigent drunkard in Travis Co. Currently, the former governor is managing the process of such charges, but is sure to be released of any liability – and only gaining favor among Americans everywhere. History has proven liberal policies fail. Government is only a protector, not an agent of progress. Regulation, litigation and taxation rob wallets and kill the economy. And jobs, and prosperity follow when you respect the system our Founder’s envisioned. Texas gave Rick Perry an environment to learn important lessons, but also experiment with and execute solid, conservative and constitutional ideas. His last campaign gave him an opportunity to grow as a leader and a communicator of his proven agenda. He is well-positioned to take that Idea and make it America’s return to greatness, one state at a time. 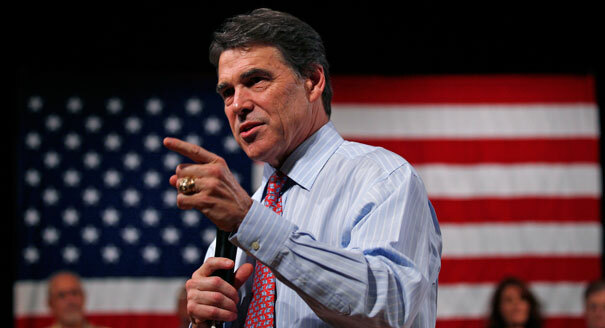 RickPAC is busy chronicling the building sentiment and quotable Perry moments in early primary states. Be sure to follow their YouTube page and stay tuned to updates.